Mitjana and Mitjaneta represent the unique beauty of the bays at the southern tip of the island. On these beaches we can feel the soft and fine white sand under our feet. 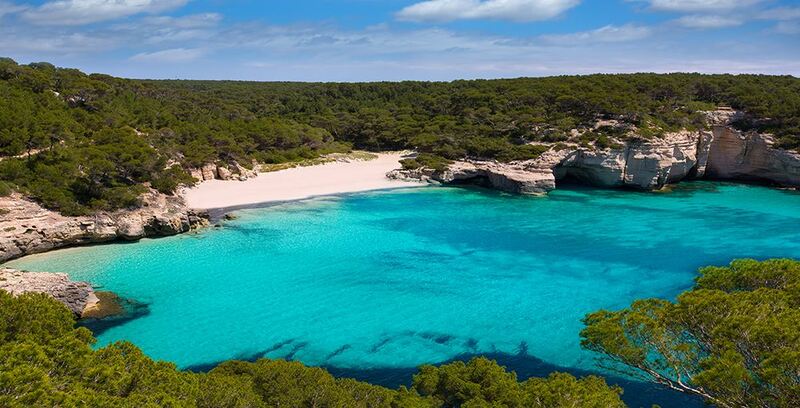 Surrounded by pine trees and limestone cliffs, you can enjoy the warm rays of the Spanish sun. These bays are preserving their original state. It is also worth visiting the old quarry of marés in the vicinity.